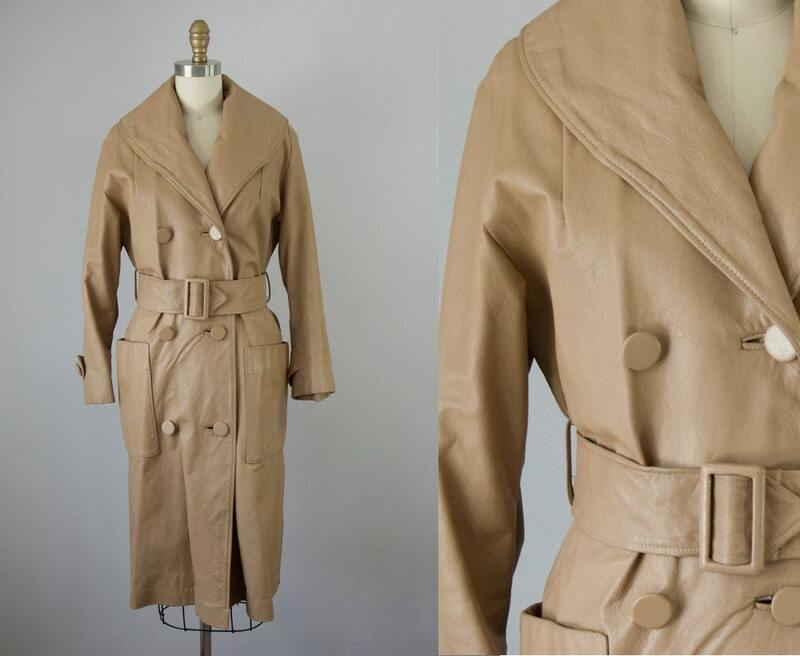 1960s vintage beige leather coat. Shawl like collar. Matching leather belt and buttons. Large front pockets. Full satin lining. 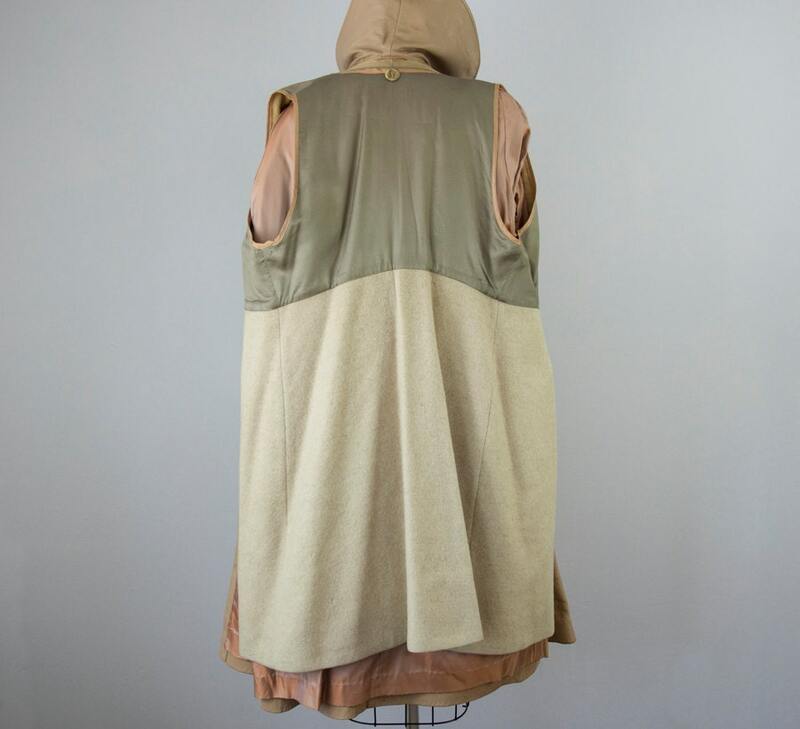 Removable zippered wool lining for added warmth. Imperfections: Upon close inspection there are some minor issues. 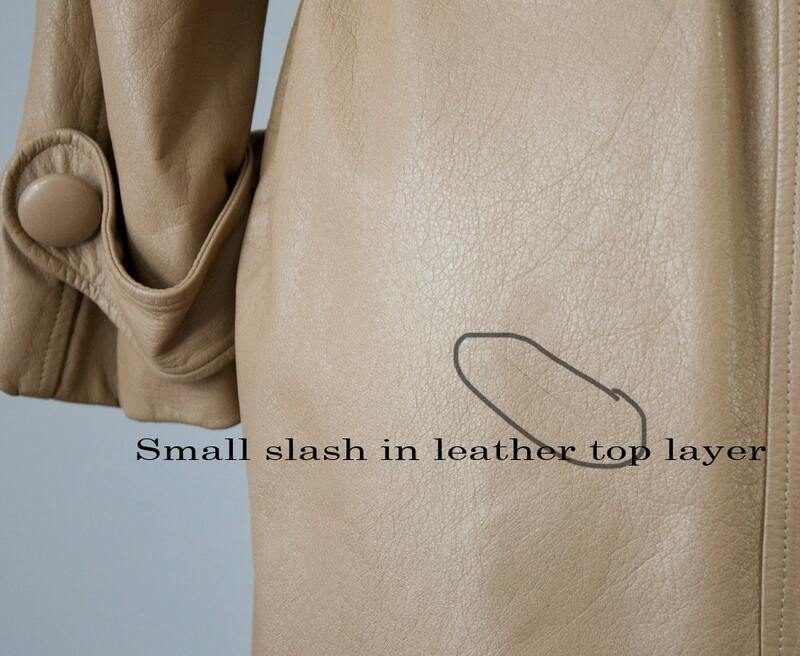 1 1/4" long slash to top layer of leather on back left hip area -- doesn't even cut through all of the very top layer. Wool zipper lining has a few moth bites at bottom -- no holes. Light soil marks on bottom satin lining near hem. 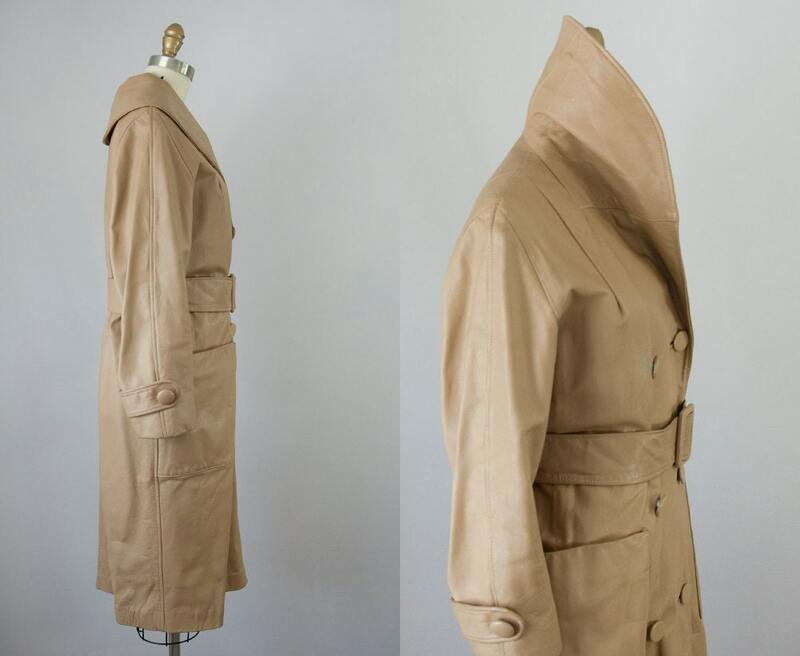 A few very minor nicks to leather. 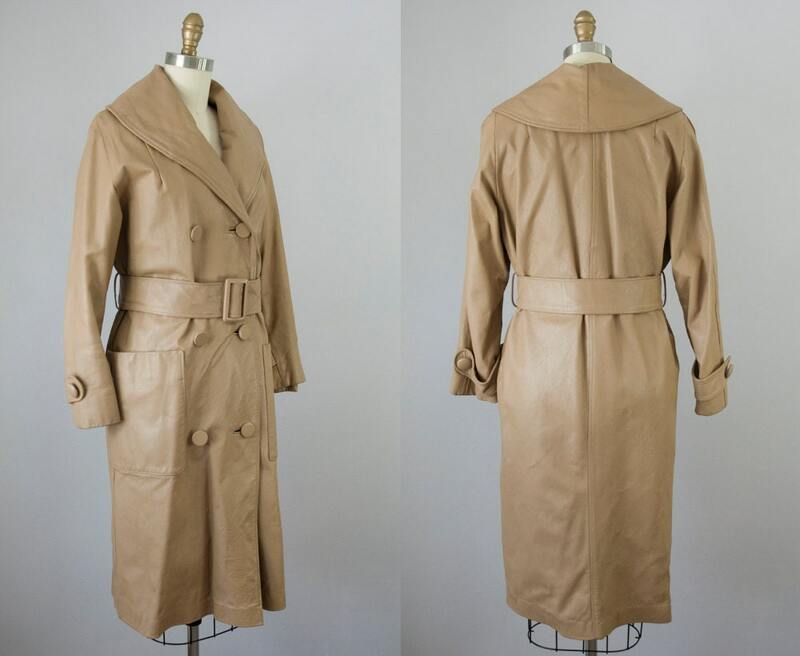 Minor leather wear near hemline. Could use a leather cleaning. Priced accordingly.